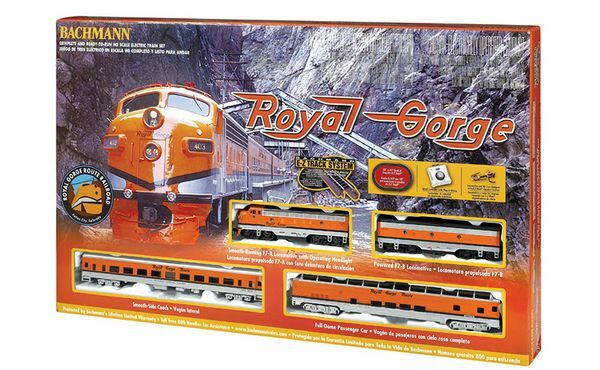 Bachmann 00689 the Royal Gorge Complete and Ready-to-Run HO Scale Electric Train Set from Bachmann. Suitable for Ages 14 and Older. BOX DIMENSIONS:   18.00" W. X   3.13" H. X  28.00" L.